Find Teddy Bear Puppies For Sale Near You! 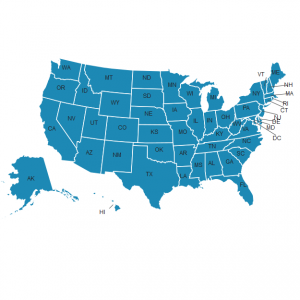 Click your state to see a complete list of breeders near you! 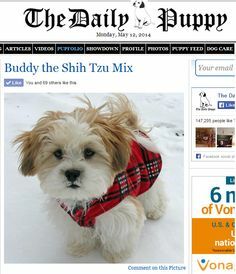 The Largest list of Teddy Bear, Shichon, and Zuchon Breeders on the Internet! While they have three names, they are all actually the same breed! Not sure what I am talking about? Click here to read our post about “What exactly a Teddy Bear Puppy is”. These amazing little pups are most popular in the upper Midwest, mainly in Wisconsin, Minnesota, Iowa, Illinois, and Michigan. Because of this, those states all have quite a few breeders, while others may only have one or two. 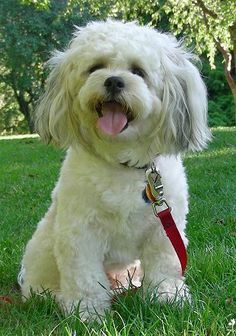 Depending on where you live, there may be a Shichon breeder close to you or they may not even be one in your state! Don’t worry though, even if there are no breeders within driving distance. Several of the bigger breeders are willing to ship (safely on an airplane) your new little bundle of fur right to you. When looking through our listings of breeders, keep in mind that it is YOUR RESPONSIBILITY to make sure you are buying your puppy from an ethical, reputable breeder! Read our article on “Five Tips to choosing the RIGHT Teddy Bear Puppy Breeder” to get some good ideas about how you can check to make sure the breeder you are considering is one you can trust, and who treats their puppies the right way. If you just discovered Teddy’s or this is the first time you have considered buying one, we recommended you also read our article “7 Things to know BEFORE you buy a Teddy Bear Puppy”. It’s a great read and will give you a lot of insight into exactly what you are getting yourself into (in a good way). Good luck on your search, and if you use miniteddybearpuppies.com to help you find your bundle of joy, please come back and send me a note about how your experience went! We would love to even post your new pups pictures on the website! IS THIS PUPPY BREED, THE HABIBI? Barbara, Yes, Teddy’s are known as Habibi in the Pacific Northwest. The name Habibi is one that is used up there in reference to these beautiful dogs! Hello! I love your puppy, he is a beautiful teddy! What breeder and what state did you get him in? Thanks for a wonderful website resource! Thank you for saying that! We got him in Minnesota at Puppies and Kids near Rochester! i AM LOOKING FOR A TEDDY BEAR FOR OUR FAMILY. I bought a teddy bear puppy from a lady named Deb in panama City Fl and never got it does anyone know of a beader in that area? We are searching for one of these adorable puppies. We live in Pa. Can you help us find one from a reputable breeder? I too live in PA. Looking for teacup teddy, female. 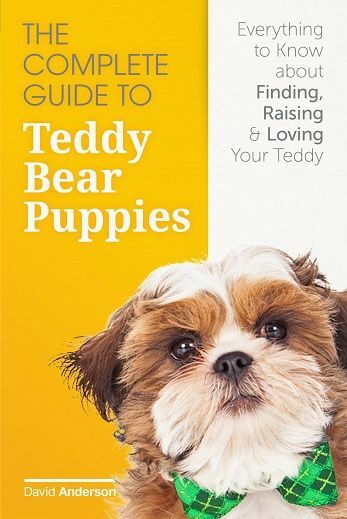 Do you have any teacup teddy bear pups or dogs? 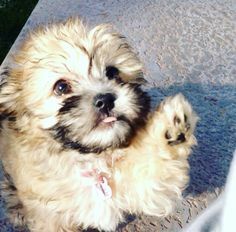 Hi, I am looking to purchase a Teddy Bear puppy to add to our family. Does anyone know of a reputable breeder near Rochester, NY? I live in Denver Colorado and am looking for a Teddy Bear puppy. I do so love these little puppies. I am retired and I am at home all the time while my husband still works. I need a puppy who will love me unconditionally and fill up my lonely hours at home. These puppies are so cute and cuddly and I know that I have a lot of love to give to one of these little guys. I have a cat that I have had now for eleven years, but they just don’t give you the kind of love that I know a puppy can. My phone number is 706-654-2652 and my cell number is 770-605-6864. We have a teddy bear that we are wanting to breed she has had one heat and getting ready to go into her second heat within the next few weeks wondering if you could help us out with finding a breeder in our area we live in Greenwood Indiana just south of Indianapolis. Looking for a Teddy Bear for me for therapy use around Wisconsin area! I would like to find a breeder for teddy bear puppies. I live in western Ky travel no problem. Would appreciate any help you could give me. My last little boy I got from near rock city iowa. I would like to come out and look at your puppies once they are ready for viewing. Is there a deposit fee for viewing? 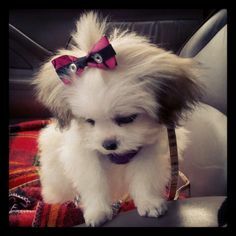 I’m looking for a teddy bear puppy! Any breeders near IL? 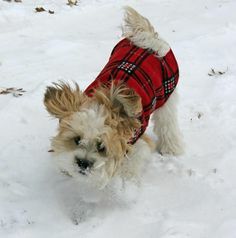 Hello – I am looking for a reputable Maltipoo, Teddy Bear or Zuchon breeder in WI – preferable SE WI. Looking online is hard & I’m leery of puppy mills. How can you tell without visiting? A lot of sites only show pictures of the super cute puppies – not their moms or the facility they are bred/kept in. Did you ever find a teddy bear breeder inWI? Im in need of one teddy bear puppy asap fro my soon to be wife are there any breders near baton rouge la. I would like to find two little girl mimi teddybear puppies I live in Michigan can you help me find them? We lost are best friend small Yorkie Rosie at age 4. . I loved her. Very much. I was looking at teddy bear how are the line. Wanted: female Bichon-Shih Tzu mx. Central Texas area, 2nd or third generation preferred. Looking for Mini teddy bear pup breeder in Ind. We are about to purchase Teddy bear. Please advise… Price, delivery date and payment option etc. 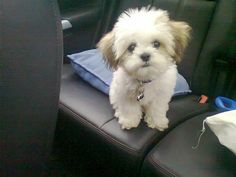 Im looking for a mini teddy bear puppy. Please give me the web sight to see them. My number is 2707927256. Ty. Marilyn Garrett. LOOKING FOR A PUPPY ZUCHON-SHICHOM MALE . LIVING IN CA LONG BEACH, CAN YOU HELP ME TO LOCATE A BREEDER OR SOMEONE IN LOS ANGELES. YOU CAN CONTACT ME THROUGH EMAIL. I’m trying to find a mini teddy bear puppy , preferably a female . We live in N J , and haven’t been able to locate one even close to reasonable, any info is so greatly appreciated. Thank you in advance ! I am interested in a mini teddy bear. Illinois. Also perhaps as a rescue also. Chris Parks west central Illinois. Looking for teady bear or multipoo digs. My husband us a stay at home guy and would love to have one. 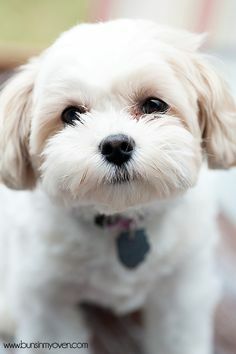 I’m looking for a female shichon in Colorado. I live in Monument, CO. Please advise if you have one or know of one in them in the state. Thank you!